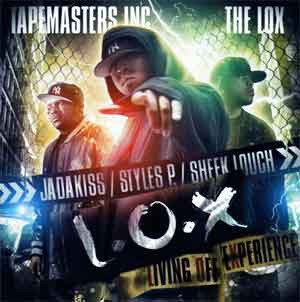 Straight outta Yonkers comes The Lox a.k.a Jadakiss, Styles P and Sheek Louch. True masters in the game, these D-Block hardhitters come deep with this mixtape from Tapemasters. It features the likes of Jadakiss, Styles P, Sheek Louch and J Hood all give up all some hefty bars over thirty super deep bangers. Peep the ‘Take Everything’ joint produced by Clinton Sparks, ‘Hands Up’ produced by Bassheadz and the awesome Mick Boogie remix of ‘Hate It Or Love It’. Styles P comes really good on his solo efforts too ‘The Black Out’ and ‘The Old To The New’, and Jadakiss kills it on ‘Problem’. This is one serious mixtape, make sure you try and grab a copy! Bigness.